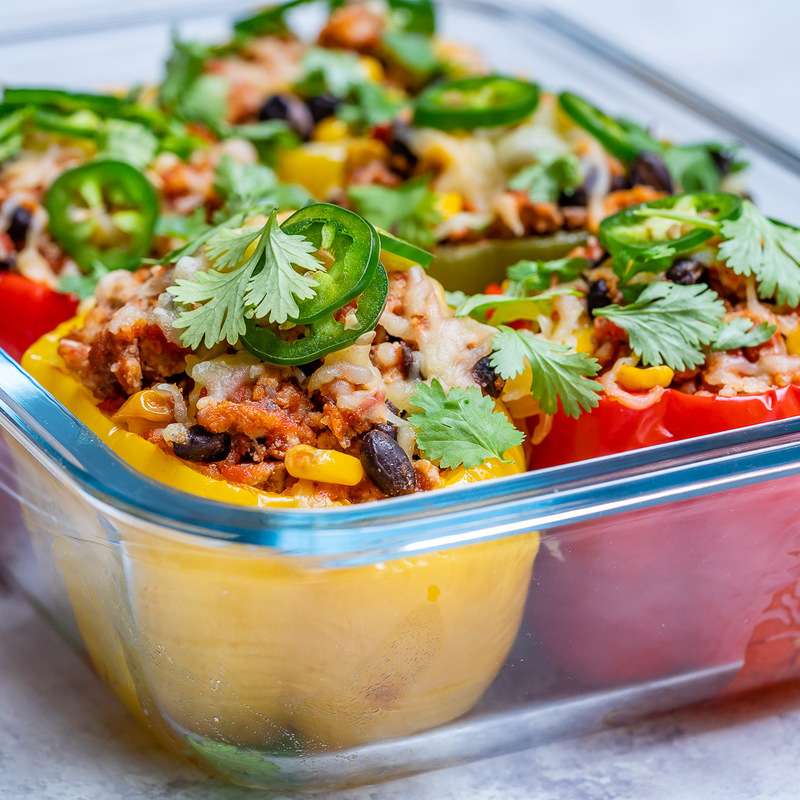 These Burrito Stuffed Peppers are Amazing for Clean Eating Food Prep! 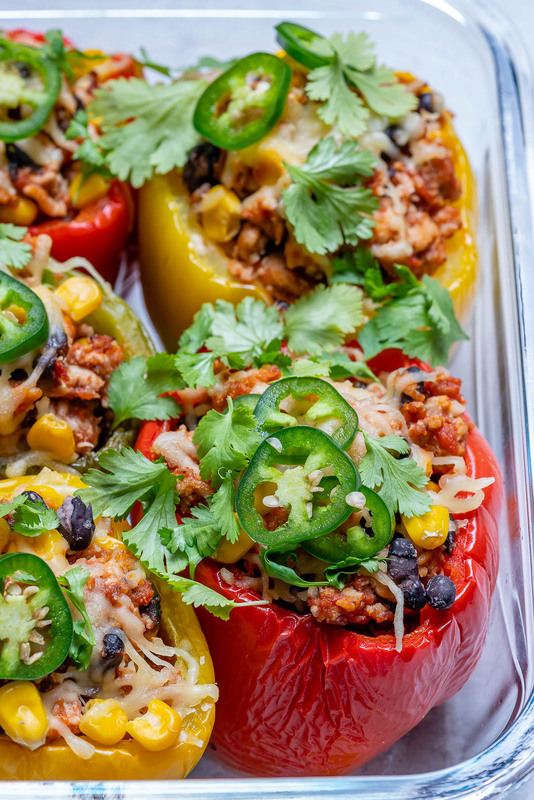 🍅 My great-grandmother used to make THE BEST stuffed peppers when I was a girl. I can still taste them…they would take her hours and hours to make. 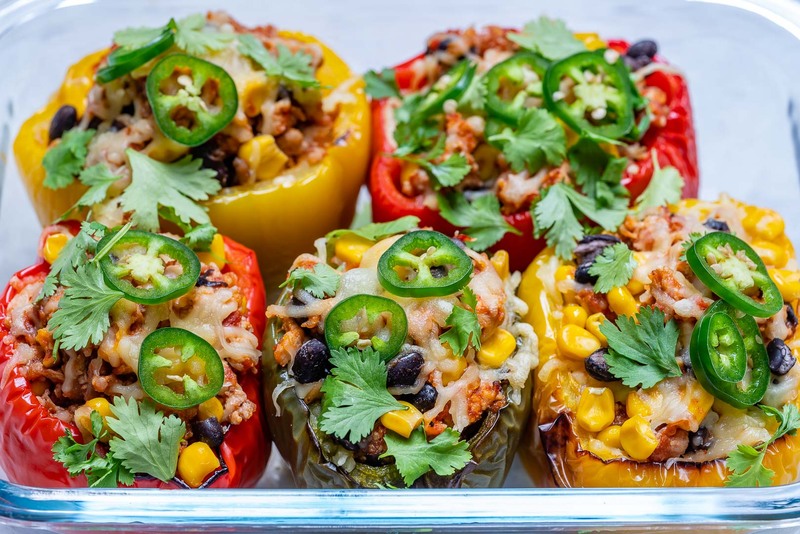 THIS version is a Tex-Mex spin on that traditional stuffed pepper, AND these only take about 35 minutes to prepare. I’m excited for you to try this variation! Cut the very tops off of each pepper, then remove the seeds. 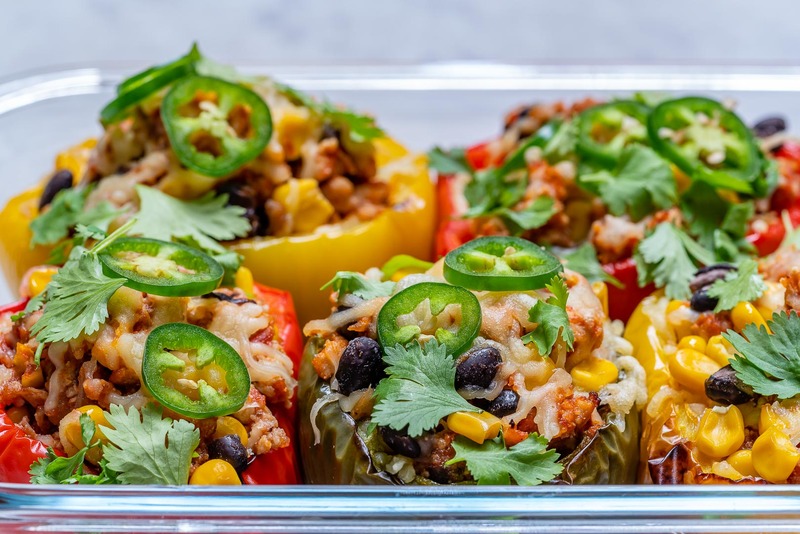 Arrange the peppers upright in an oven-safe dish as shown, then bake in your preheated oven for about 15 minutes. Meanwhile, heat oil in a skillet over medium-high heat. Add onions and sauté for 2-3 minutes, then add the turkey/chicken and cook until just browned. Sprinkle in garlic, cumin, chili powder, sea salt and pepper and cook for an additional minute or so while stirring. Add in the beans, corn, and diced tomatoes. Stir everything together thoroughly. 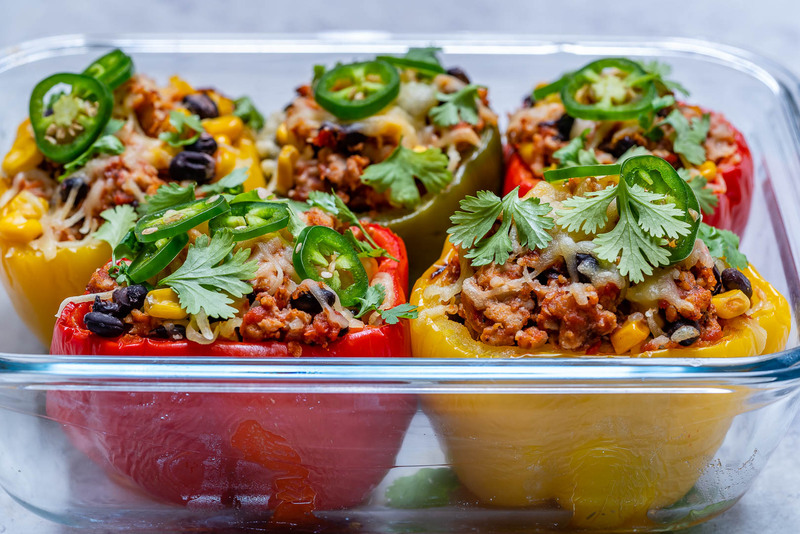 Spoon the mixture into the pre-baked peppers, and press the mixture firmly to get them all fully loaded. 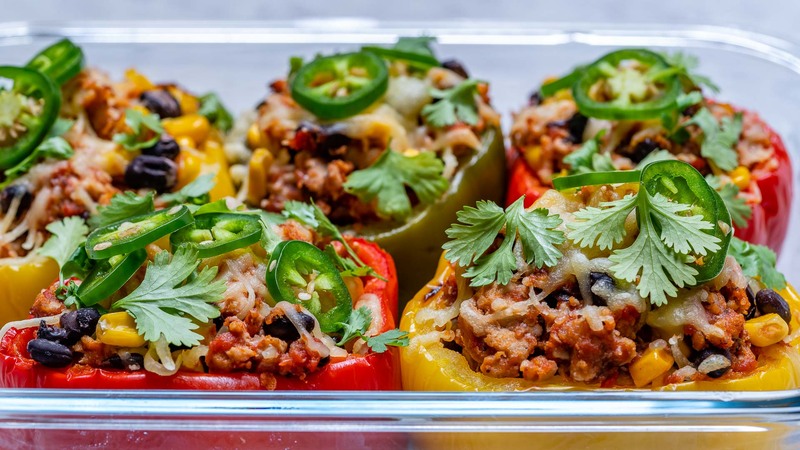 Sprinkle with cheese and return to the oven for an additional 15 minutes. Top with avocado, and jalapeno slices. Sprinkle with fresh cilantro and enjoy! 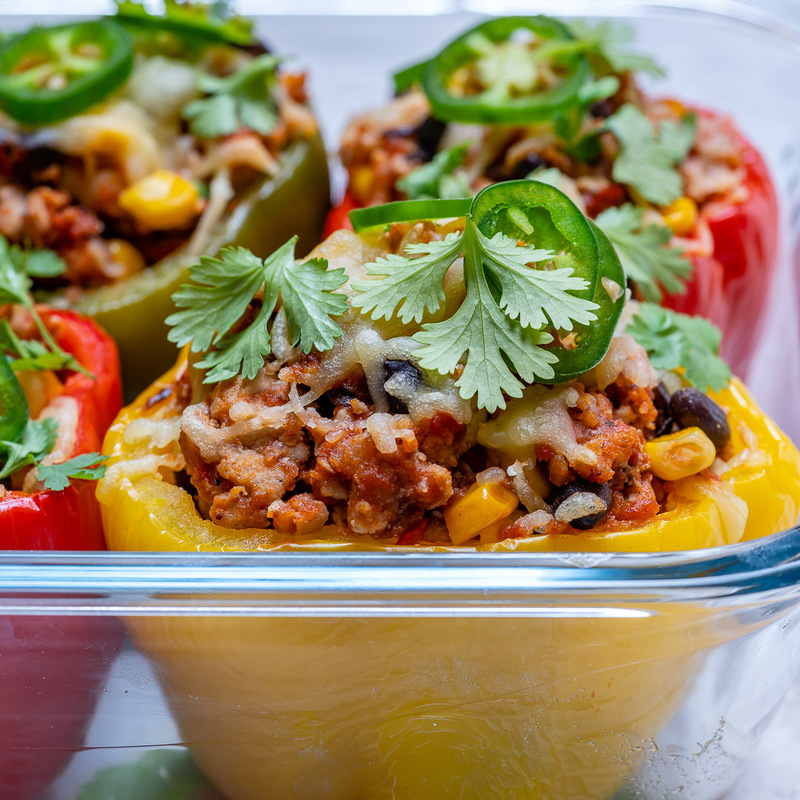 For Food Prep/Prepping Ahead: Refrigerate in sealed glass containers for up to 3 days.